We have a new Excel Challenge folks! I know our friends in US are away celebrating Memorial Day weekend. But that should not leave rest of us from fun. So, we have a new Excel Challenge. This time, you need to make a chart, to visualize product sales data. And what more, one lucky person could get an Amazon Kindle Reading Device (Wi-fi version) by making the chart. Here is a charting challenge to begin your Christmas week. Recently Guardian’s Data Blog released World Education Rankings data and a sample visualization. 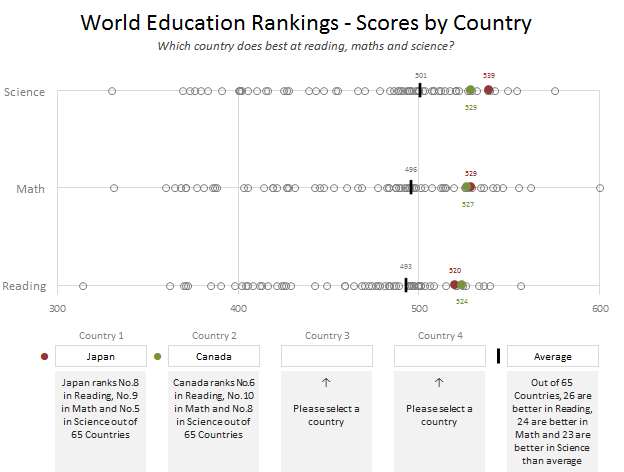 Now your challenge is to make your chart visualizing World Education Rankings data. You can see the chart I have constructed above. Read the rest of the post to find out how I made this chart and download the workbook. Post your submissions using comments. Sales reports and dashboards are very common in any company. There are several ways in which you can visualize sales data to understand the trends and sales performance. So in November, I have asked you to visualize sales data using sample data. The visualization challenge #2, sponsored by Zoho Reports generated a huge buzz around the community and fetched 32 incredible entries. The response was so overwhelming that it took me almost 24 hours to write this post. Thanks everyone for participating and making this a huge learning experience for everyone. 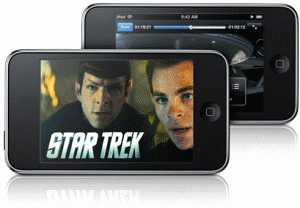 Personally I have learned several useful dashboard and charting tricks. I will be sharing some of these lessons with all of you in the coming weeks. Here is a challenge many people face. How to make a chart visualizing sales data with several dimensions like product, brand, region, sales person name, year (or month or quarter) and one or two values like sales, # of units sold, profits, # of new customers. In visualization challenge #2, all you have to do is a make a chart or dashboard to visualize this sales data effectively.